South American Born Alejandra Vacca is the general manager and co-founder of Peachtree Bennett Auction Gallery. A dynamic and seasoned auctioneer who has consistently nailed it over the years, Alejandra’s passion to pursue the auctioneering career was ignited when she began working with Gary Braswell at Braswell Galleries, Connecticut, in 2005. She then collaborated with him in 2010 to operate the ever-growing family-owned business, Peachtree Bennett Auction Gallery. Alejandra Vacca became an auctioneer in estate sale services Atlanta GA, in 2012. Gary Braswell’s over 45 years of in-depth experiential knowledge, as a second generation antiques veteran, who learned the business from the ground up and has achieved a respected status in the antiques forum, accounts for the rapid successes that has now made Peachtree Bennett Auction Gallery become a recognized estate liquidators Atlanta, GA and cornerstone auction house in the Atlanta antiques and estate appraisal services Atlanta GA auction arena. The company’s in-house auctions are conveniently held at the spacious Atlanta Expo Center (or Scott Antique Market) and at the Antiques Gallery of Sarasota, Florida. A perfect match indeed, Alejandra Vacca’s unparalleled commitment, alongside Gary’s reputation for scrutinizing the authenticity of his merchandise, has made Peachtree Bennett Auction Gallery a legendary auction house and estate sale services Atlanta, GA, among knowledgeable professionals and auction participants alike. The duo’s great personalities as seen in their team’s integrity, natural generosity, and outgoing nature, accounts for the extraordinary successes that they record at high-stakes live auctions. In addition to the company’s retail operations that offer alternative buying and selling opportunities for those who do not wish to partake of the auction venue, it sells in-house and online through www.liveauctioneers.com and www.invaluable.com. Second to none other in the auction arena, Peachtree Bennett Auction Gallery offers a unique and unforgettable auction experience through a multitude of tailored services that are designed to meet each client needs. The company has, since inception, developed an extensive buyer’s platform that makes her position as a regional market leader more pronounced. 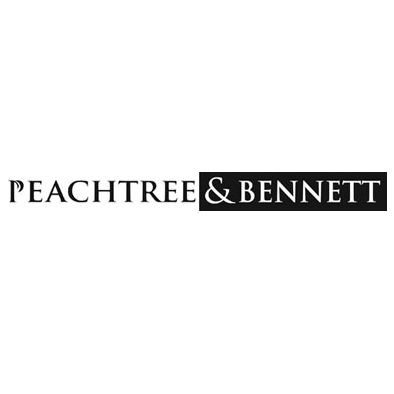 With this platform, Peachtree Bennett Auction Gallery deploys an effective strategy of multiple buying and selling formats, along with a diversity of quality antiques and collectibles that flood into the auction house on a daily basis from as far away as New England and New York to the Southern borders. Anyone can experience the company’s transparent, rapid-fire auction mantra that is easily understood even by first-time auction attendees. Gary is great at making every auction pleasurable and fun while taking his responsibility seriously. His convincing, honest and timely sales talks that result in more bids and higher prices are also noteworthy. Peachtree Bennett Auction Gallery together with her sister company, www.companiesestatesales.com are renowned estate liquidators Atlanta, GA that offers a variety of premium auctions including estate sale services Atlanta, GA, and environs.